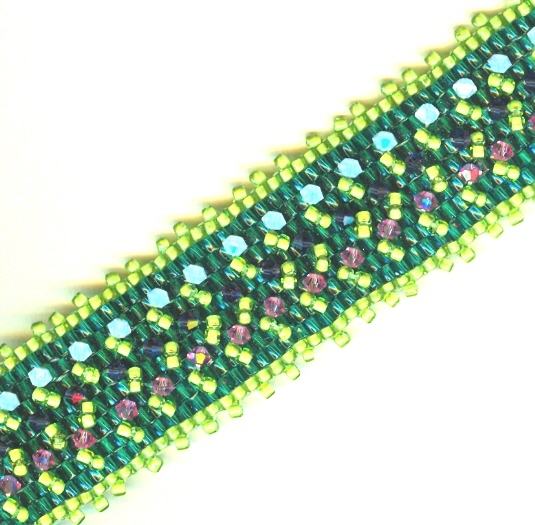 With a beaded bracelet featuring three colors of Swarovski Crystal blossoms all in a row on an awesomely smooth lawn of hand stitched dark green glass seed beads. 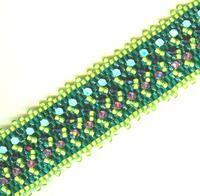 This beaded bracelet is accented with bright green ?leaves? and matching pique edging. 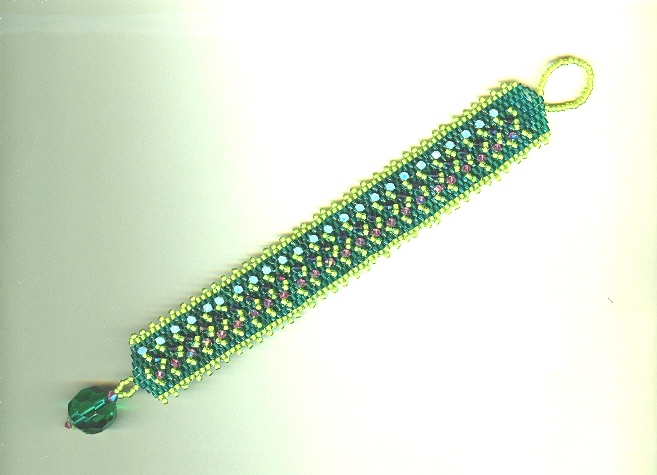 The beaded bracelet is about 7-1/2" in length, and fastens with a large faceted green glass bead and loop closure. Its color and durability make it easy to be worn every day. Like love, this beaded bracelet is in bloom here at SPARKLE PLENTY.